Seocho Sebarun Hospital, located in Seoul, South Korea, opened its doors in June 2015. The hospital specializes in spine and joint pain for its patients. Technology is a crucial aspect of the hospital’s successful operation, as is keeping patients informed and educated. 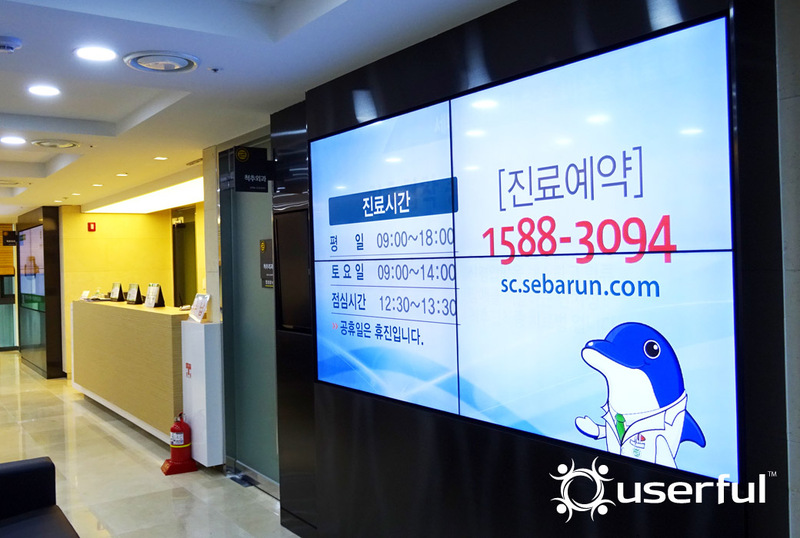 The Seocho Hospital realized that video walls and digital signage were important ways to communicate with patients and ensure patients are receiving the best possible health care experience. There are three other Sebarun Hospitals that have previously deployed video walls, with little success. The hospitals purchased expensive video wall platforms thinking they would also be both powerful and easy to use, but they only received complaints from users. The video walls turned out to be extremely complicated to manage and too costly to maintain. The full details of Userful’s installation can be found here.